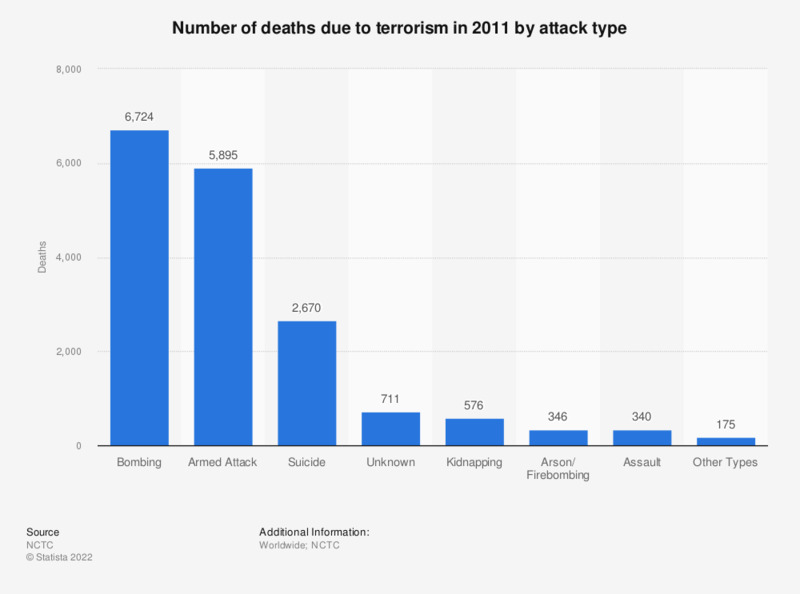 The statistic shows the number of deaths due to terrorism in 2011 by attack type. 2.670 people were killed due to suicide attacks worldwide in 2011. 12,533 people died in terrorist attacks in 2011. This statistic counts cases twice, when several methods were used in an attack. Do you agree or disagree that it is inevitable that a terrorist attack similar to the one in Paris will happen in the UK?